Himmerlandskød operates according to our key values, which are ‘parsimony’, ‘industriousness’ and ‘propriety’. Our values and history are more than 100 years old, and we have always kept our feet firmly planted on the ground of the vast grasslands of Central and Northern Jutland. We do business in an honest way, and we honour the promises we make. That has been rewarded by the ever growing number of suppliers that have been choosing us during the past years. Himmerlandskød used to be made up of four well-managed companies, Himmerlandskød, A/S Hjalmar Nielsen, Nordic Beef Hadsund and Kjellerup Eksportslagteri, but in 2018 they were unified, thus becoming one single brand: Himmerlandskød. Today, we still have four corporate divisions. located at Farsø, Aalestrup, Hadsund and Kjellerup, and we are Denmark’s second largest beef slaughterhouse and cutting plant. We have 200 employees and slaughter 110,000 cattle per year. 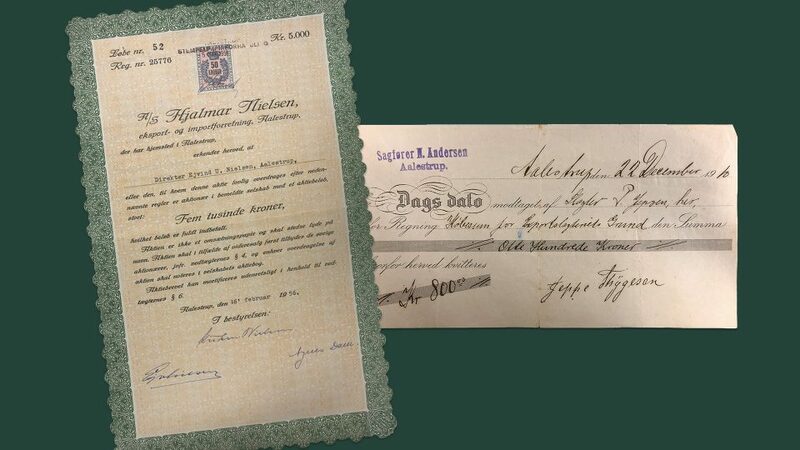 The Aalestrup plant’s history goes back to 1910, when the slaughterhouse Hjalmar Nielsen was established. Today’s managing director, Lars Andersen, took over Hjalmar Nielsen in 2000. In 2008, Himmerlandskød’s cutting plant located at Farsø was added, and in 2012, Hjalmar Nielsen expanded its slaughter capacity by purchasing the slaughterhouse Kjellerup Eksportslagteri. Finally, in 2016 Nordic Beef Hadsund joined our Group. The history of Nordic Beef Hadsund also dates back more than 100 years, when the Svendsens started selling livestock bred by themselves, and ever since the business has been carried on by their descendants. Today, Himmerlandskød is managed by the Andersens and Svendsens, who have all grown up with beef ‘running through their veins’, and therefore they are very proud of safeguarding Danish beef quality.